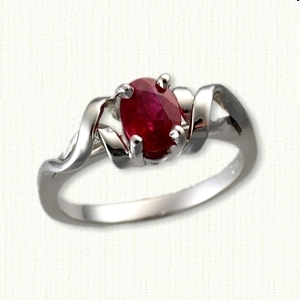 Unique Custom Made Engagement Rings: "Michelle"
Description: The 'Michelle' is a Simple Mounting engagement ring with symmetrical loops surrounding the stone. 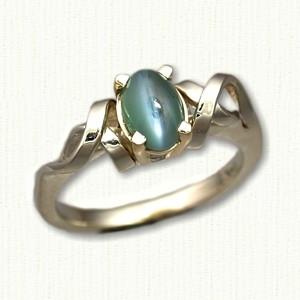 The ring mounting will accommodate most any size, shape and color center stone. Available in 14kt, 18kt and platinum. ( pricing ). The Mandy engagement ring mounting can be customized to your needs. We can design it in white gold, yellow gold or even platinum. You can even choose the stone you want to make your engagement ring truly unique! We recommend diamond, ruby & sapphire because of their durability, but we can try to accomodate most any size, shape & color stone.